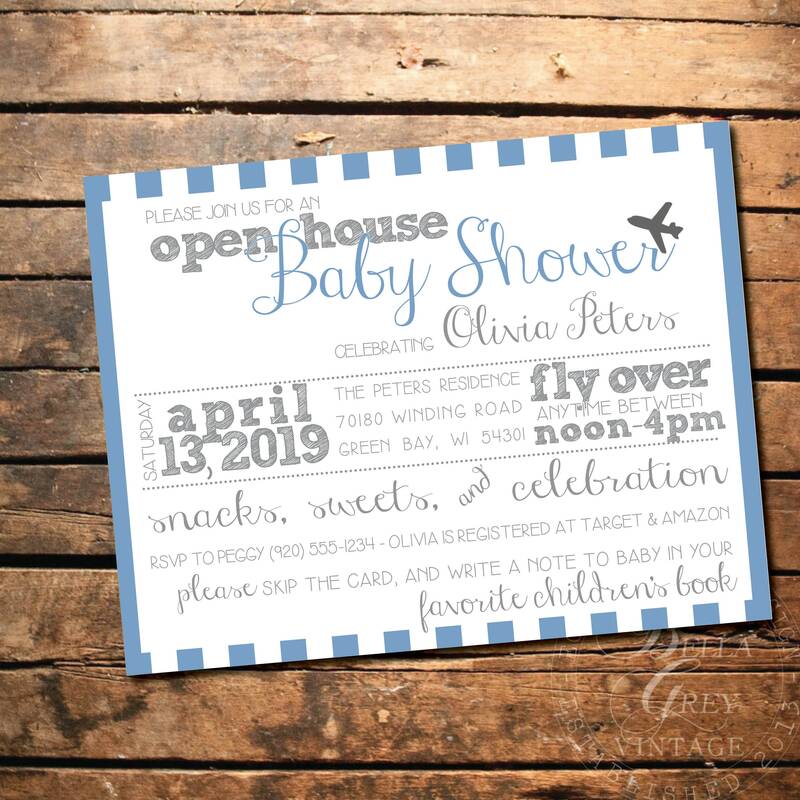 Celebrate the Momma-to-Be with this sweet aviation themed baby shower invitation! Shown as a 5.5"x4.25" flat card with light blue accents. Price shown is for the invitation as shown, with your party details added. Other changes to the wording, colors and size may be customized. Additional design charges apply, contact us for pricing. 3. Once I receive your final approval for the design, I'll send out your invitations! You'll receive full resolution 300dpi JPG and PDF files of your design. You will not receive any printed items in the mail unless you add-on our professional printing service.